Thursday, July 14th, 2016 at 8:54pm. On the beautiful Jupiter Inlet stands a historical piece of real estate, a 1906 Sperry built boathouse. 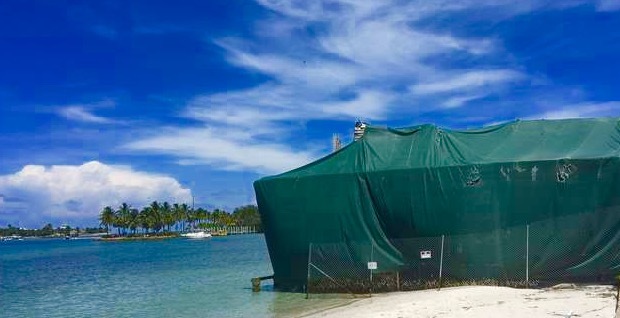 Located within the Suni Sands mobile home park property, the significant structure will be demolished and transform into a historic hotel on the 10-acre site of the Jupiter Inlet. William Sperry and his wife, who were owners of Sperry & Hutchinson Green Stamps, built the boathouse. Most people of a certain age, who are from the South Florida area, will recall S & H Green Stamps from Publix. Customers collected the stamps at the grocery store or gas station, pasted them into booklets and then redeemed them for various items from books, to shoes, to canoes and more.